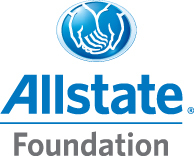 NORTHBROOK, Ill., September 27, 2018 /3BL Media/ – The Allstate Foundation announced today the expansion of The Allstate Foundation Nonprofit Leadership Center, an online and in-person nonprofit leadership development program offering free curriculum for all nonprofit professionals. The curriculum, developed by the Kellogg School Center for Nonprofit Management at Northwestern University, covers topics including leadership, management and stakeholder engagement. The Allstate Foundation Nonprofit Leadership Center is a program of The Allstate Foundation, an independent, charitable organization made possible by subsidiaries of The Allstate Corporation. The Allstate Foundation works to create more prosperous communities where people are inspired and empowered to fulfill their hopes and dreams by breaking the cycle of domestic violence, inspiring the next generation of leaders, closing the nonprofit leadership gap and honoring Allstate volunteers. More information on The Allstate Foundation is available at AllstateFoundation.org. For updates on Allstate Foundation initiatives, follow The Allstate Foundation on Facebook, Twitter and Instagram.